This week we got the opportunity to interview 18-year-old sole developer Jakub Cislo about his upcoming retro-style FPS title Cataclysm 3D under the name Buckshot Studios. 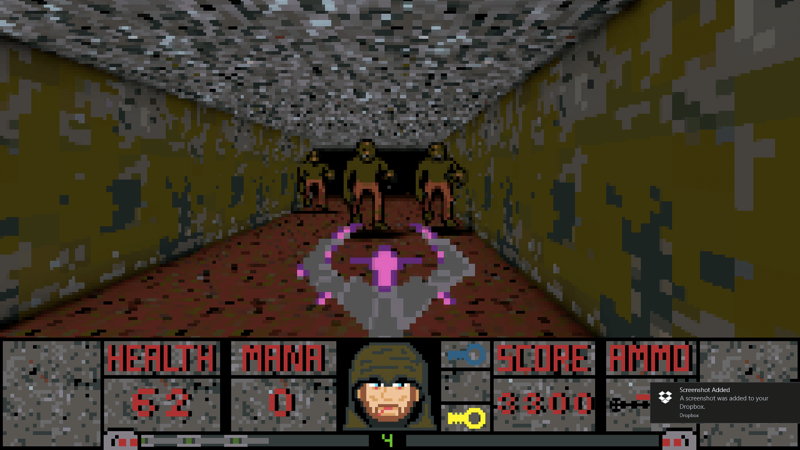 During the Kickstarter campaign to get funding for the cost of a Steam Greenlight submission, the game was originally called Exitium 3D. We discuss the changes made from the Kickstarter campaign and Steam Greenlight, the game's enemies, features, inspiration and more. In Cataclysm 3D you take on the role of a powerful mage who is attempting to rid the existence of evil by travelling through various dimensions and universes. To help him in his quest, the mage uses all forms of weapons including a pistol, shotgun, SMG, akimbo SMGs, magical weapons and spells. 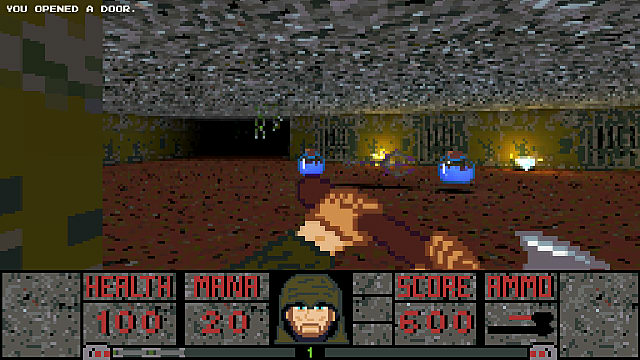 Cataclysm 3D, like games of the era it is inspired by, will consist of 30 levels across three episodes in the full version. There will also be a free shareware version consisting of the entire first episode for players to try before buying. GameSkinny: What led to the name of the game being changed from Exitium 3D and Cataclysm 3D? Jakub Cislo: I really wanted to leave name "Exitium 3D," but I received a lot of feedback that there is a game already called like that. To make the game stand out a bit more, I changed it to "Cataclysm 3D." I really want the player to feel the struggle the player is going to face even before he starts the game. GS: Between the launch of the Kickstarter campaign and the Steam Greenlight page, there has been quite a change in the UI and the general colour of it. Is there any particular reason for this design? JC: Yes, that is correct. 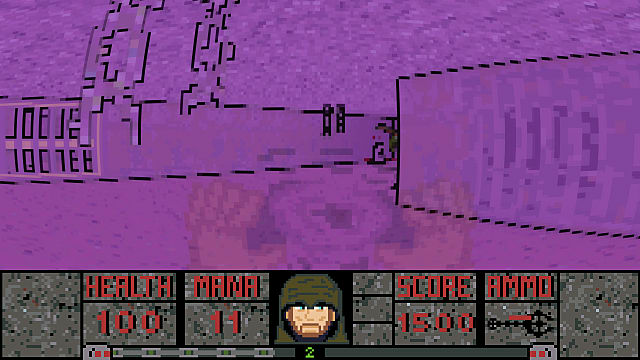 Before, the graphics were not cohesive. I know it looked bad, but people still supported me. I wanted to improve graphics, but stay in that retro/old-school graphics style, so I decided to use a 16-bit color palette on every texture and sprite there is. UI was also not the best one, so it also received an overhaul. I can guarantee even better graphics, because I just hired an Artist! Hooray! GS: What is the plot of Cataclysm 3D? JC: This game is not really about a plot, but here you go: The Player is a mysterious, powerful mage, travelling through dimensions and different universes to remove the whole evil that exists. GS: Currently, there is only one environment showcased on the Steam Greenlight page for Cataclysm 3D. Will there be other environments presented throughout the game and if so what kind of environments can players expect? JC: Maybe it was not a good idea to hide other environments from the players, but that's what I did. I didn't want to show everything off. As I announced earlier, the game is going to feature 3 episodes, each with 10 levels. Each episode is going to have its own graphic style. Each Episode is going to contain 2 different environments + special boss environment. Stay tuned for surprises. 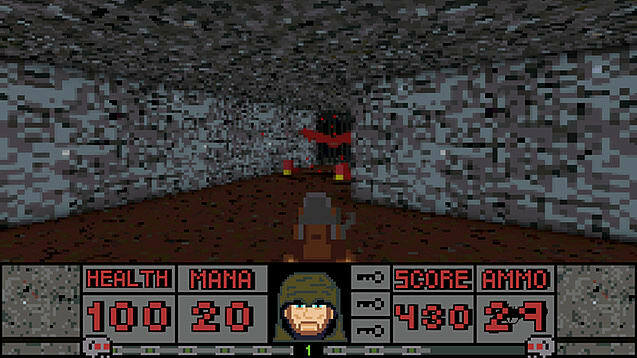 GS: What kind of enemies will the player be facing against throughout the game? JC: Currently, the game features bats, imps, spiders, zombies, ghosts, skeletons, elementals... what can I say -- typical dungeon monsters. I don't want to mention everything, just to leave you some surprises. GS: With a scoring system in place, will there be an online leaderboard for players to compete against each other? JC: This is definitely a go, would make the game much more interesting. GS: Upon levelling up, how do increasing your stats affect your character? JC: Player has currently 4 stats to improve -- Strength, Vitality, Wisdom and Capacity. Strength increases damage dealt by weapons. Vitality increases player's health. Wisdom -- this one is a bit more complicated. It increases maximum mana that player can have, and also decreases mana drain from spells and magical weapons. Capacity -- increases player's carrying possibilities. More capacity = more ammo. 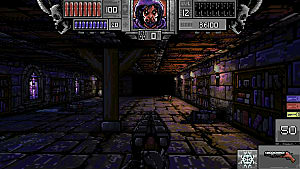 GS: Cataclysm 3D certainly has a number of influences such as DOOM, Wolfenstein 3D and Heretic. What other titles have influenced the development of the game? JC: Catacomb 3D for sure. 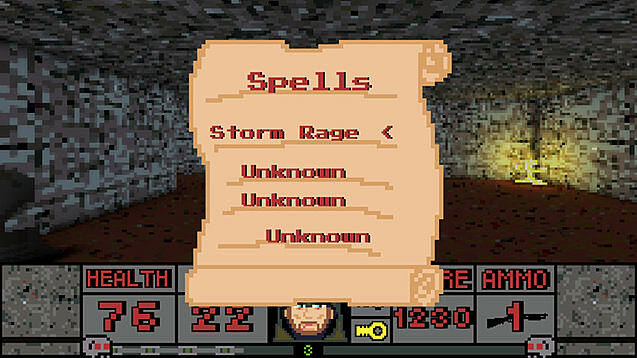 I would also mention Ultima Underworld. GS: Making the game a roguelike is an interesting decision, that adds in a unique gameplay mechanic for such an old-school game. What made you decide on adding such a mechanic to the game? JC: I love roguelikes, I love FPS games, I love RPG's, I love old games. Boom. I always wanted to play everything at the same time, yet no game achieved this. So here you have it -- Cataclysm 3D! GS: Magic is a newer addition to the game that wasn't showcased during the Kickstarter campaign. How many spells will there be in total? JC: As for now there are four spells, each unique and adds some tactical gameplay to the game. I plan to add more in the future. I don't want to spoil much, but here are the names of the spells -- "Storm Rage," "Fireball," "Frost," "Void Shift." There is no mistaking that Cataclysm 3D is a love letter to the FPS games of yore. It is awesome to see such a young developer creating a game influenced by those that brought us to where we are today. In an industry where most have the idea it is mandatory for your game to use the latest graphical technology, it is wonderful to see a developer pay respect to the graphical style of an era now long gone. GameSkinny wishes Jakub the best of luck with Steam Greenlight and the game's development. Cataclysm 3D is a game that is bound to excite those interested in retro gaming and is looking to be a promising old-school FPS experience. The game is scheduled to release sometime in mid-2017. If you would like to know more about Cataclysm 3D or would like to support the game on Greenlight, you can check out the Steam Greenlight page for more info.